Undergraduate Admissions processes and admits academically qualified students. Enrollment requirements are set by the university and the governing board of the Institution of Higher Learning. 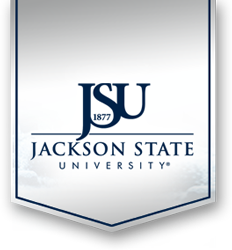 We are sure that you will enjoy the educational opportunities and experiences Jackson State University has to offer. All scholarship correspondence will be sent to the student's JSU email address. For instruction on how to access your JSU email address click here. Activate JSU Email, NetID, Canvas, Etc.